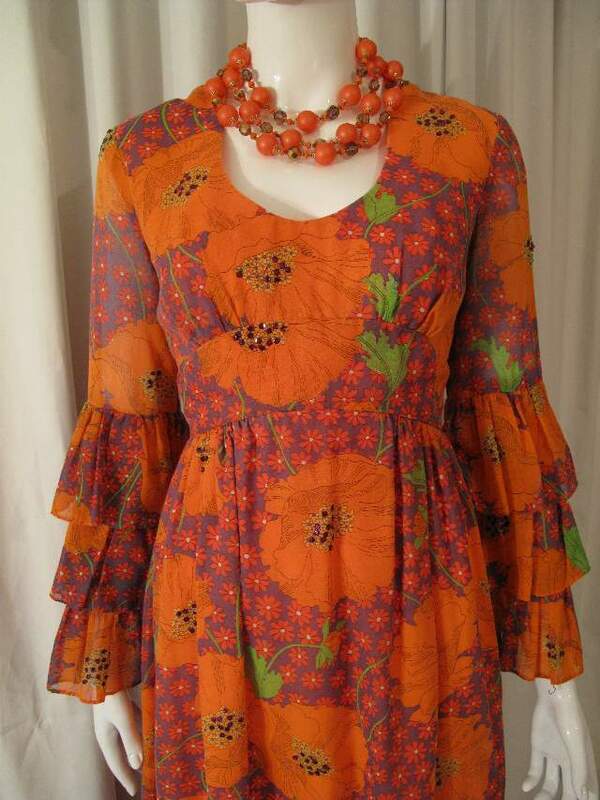 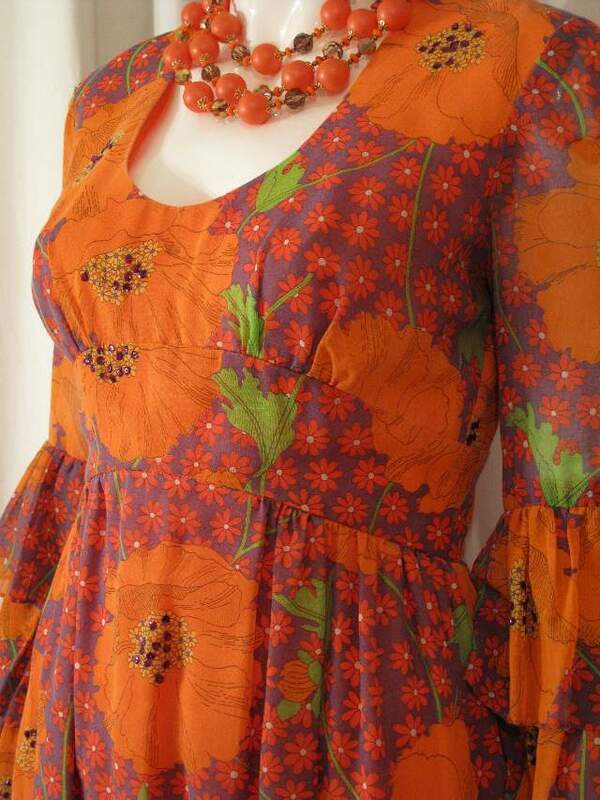 1970's Printed voile Maid Marian vintage dress. 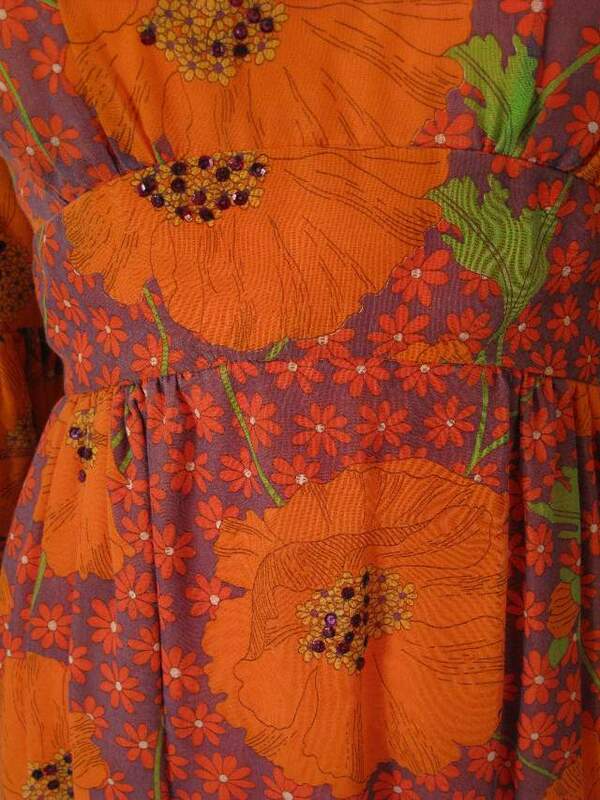 Orange poppy print, with swirly apple green tendrils and leaves. 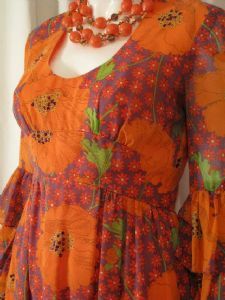 The background is soft brown with orange daisies, the large poppies have hand sewn aubergine coloured cup sequins in the centre. 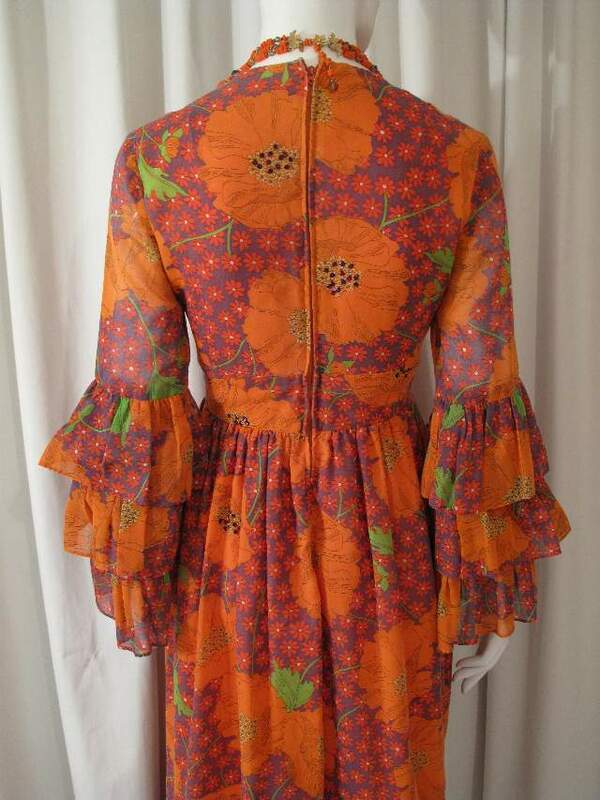 The print has a quite tonal and ' washed out ' feeling . 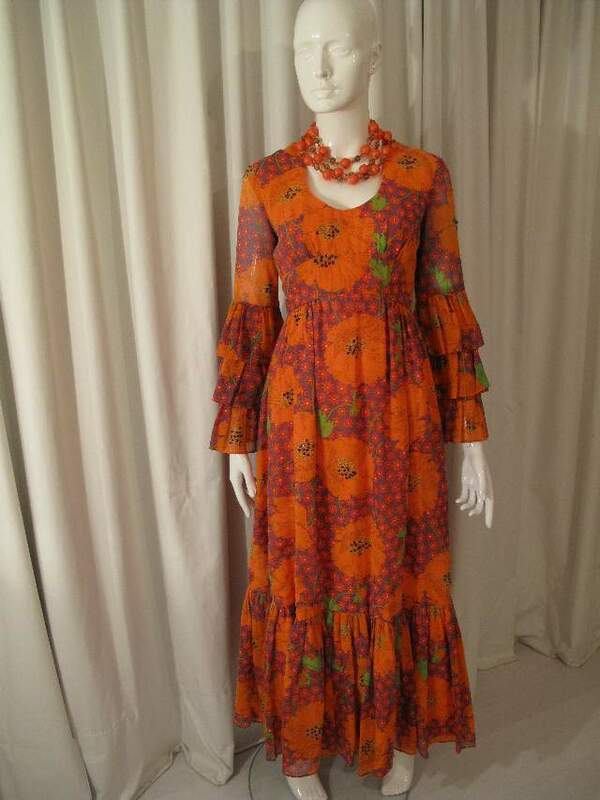 The style of the dress is very 'hippy chick' with a deep scooped neckline, long gathered skirt with deep gathered tier and stunning sleeves with three graduating gathered frills.